Chocolate. Coconut. Upside. Down. Banana. Cake. That’s a mouth full to say, but I call it as it is when it comes to cake. In fact I call a lot of things as they are … in my head. This thing called tact keeps me from just saying whatever I am thinking at the moment. Only children and old people get away with saying whatever they want. Luckily with cake nothing holds me back. If it’s good I shout it from the roof tops. If it’s not good aka bad then you will hear about that too. Mediocre cakes don’t even get mentioned! It’s the thing about being in the middle most of the time you get ignored. I would know I am a middle child. 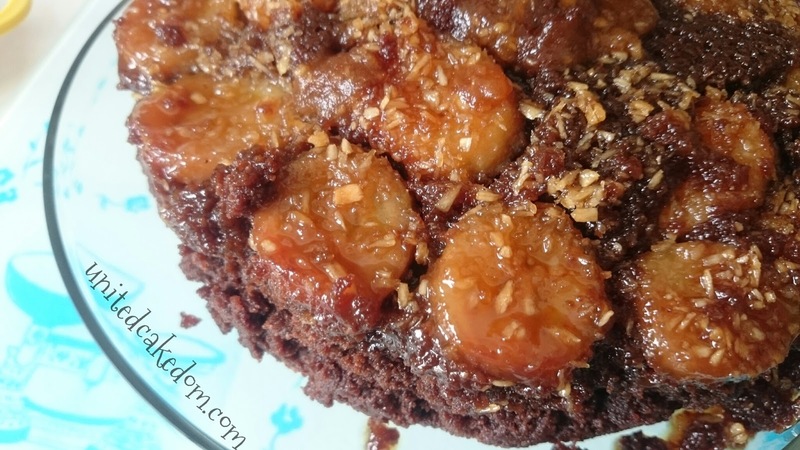 What I’m getting at is that I am going to tell you straight how it is with this Chocolate Coconut Upside Down Banana cake. No messing about here. This cake is deliciously interesting. 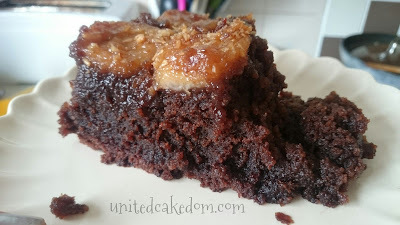 First you have the super soft cake made with coconut oil that becomes more moist with the caramel topping that soaks into it. 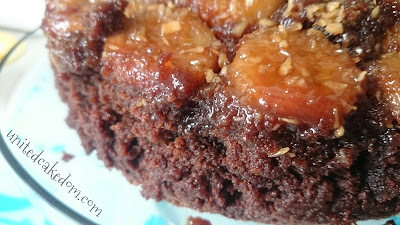 Plus nicely baked banana slices to make you feel a little less guilty about the super rich cake. 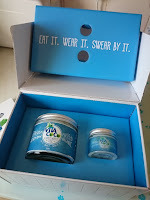 Recently VitaCoco set me a sample of their coconut oil to try and after a few trial and errors this cake was made and I was pleasantly pleased with it. Going along the lines of telling someone what is what, I can say that you should make this cake and if you don't you're a bit of a dumb dumb. Place the chocolate, broken up, in a large bowl and pour the boiling water over so that the chocolate is completely covered and leave to the side. Gently whisk the sugar, flour, salt, and bicarb together and leave to the side. Weigh out 250g of the coconut oil and gently heat to melt it down (250g is approximately 250ml) leave it to cool slightly. Go back to the chocolate and water and whisk until smooth. Then add the brown sugar -whisk, coconut oil - whisk, sour cream - whisk, eggs one at a time whisking after each one. Last add the vanilla and whisk until combined. Then add 1/3 of the flour mixture to the chocolate mixture mixing until just combined - repeat two more times until it’s all mixed together! 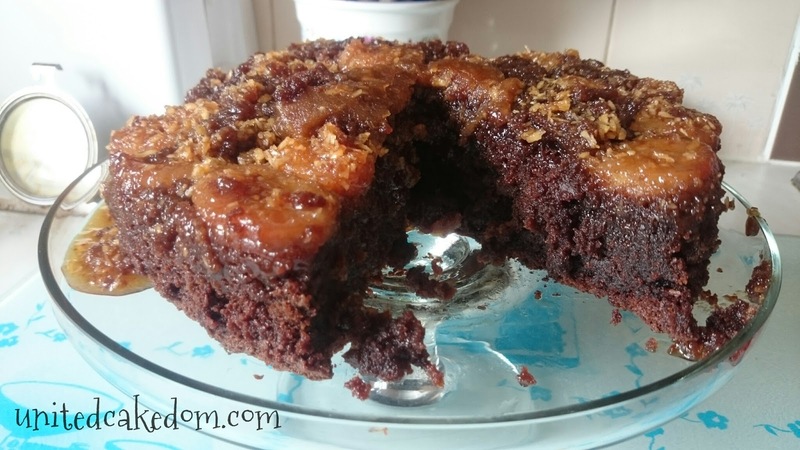 In an 8 inch or 9 inch deep cake tin put the butter and brown sugar at the bottom of the tin and leave in the heated oven to melt. 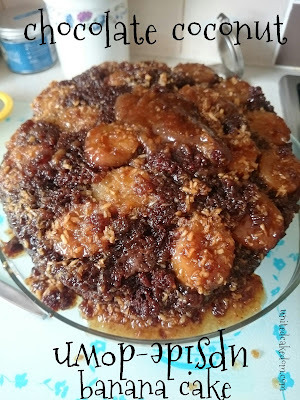 Once melted give a little stir and add the sliced bananas to the bottom in any pattern you like! Sprinkle the coconut (add more or less if you like) over the bananas before very gently pour the cake batter on top. Bake for 45-60 minutes, depending on the size of the cake tin. If it’s not completely baked bake longer with five minute intervals and cover with tin foil if you are worried about the top/bottom being burnt. Once it’s baked gently put a knife around the edges to release it from the tin and place a plate over the cake tin and tip it upside down. Eat as soon as it’s cool enough to eat. The caramel sauce will soak in and make the cake very moist (I hate that word, but it’s the only one to describe it) and make it look slightly under baked. Delicious! 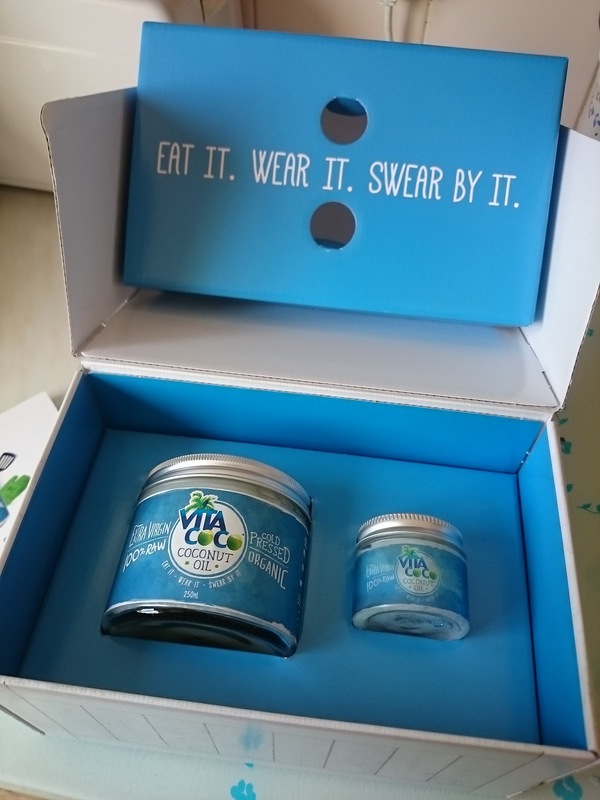 notes: VitaCoco sent me a sample of the VitaCoco Coconut Oil to try out, no other payments were made. All opinions are my own. For more information please see my contact/policy page above. Recipe was adapted from various sources one being Bake! by Nick Malgieri and by googling upside down banana cake! I love all the flavours...I'm thinking warm with a generous glug of custard! Yes, custard would go good with this cake although it's already very dense so might be a bit much perhaps some whipped cream? For next time!